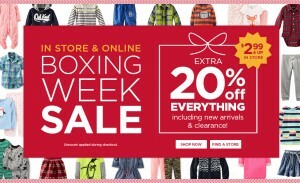 Carter’s OshKosh B’Gosh Canada Boxing Week Sale: Extra 30% Off Clearance + FREE Shipping on $50 + More! With the additional 30% off that Carter’s is offering on their Boxing Week stock, you’ll be able to stock-up on graphic tees for the entire family, as styles for toddler girls, toddler boys, girls and boys will be selling for as little as $4.19. For those of you not willing to dig through last season’s fall and winter stock, there’s some good news for you from this week’s Boxing Day deals at Carter’s OshKosh B’Gosh. Right now you can save 25% off on new arrivals, but only online, when you enter the promo code, NEW25, at checkout. This will make adorable spring items like this blue striped jersey onesie for baby girls cost just $12, though normally it’d be $16. Both of these offers will only be available for a limited time. 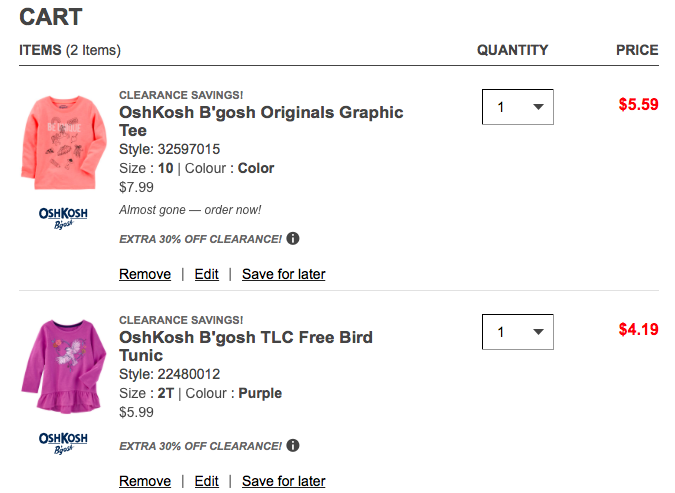 And for this week only, Carter’s OshKosh B’Gosh Canada will be offering FREE shipping on all orders that are $50 or more. 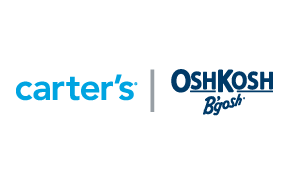 Click here to begin shopping at Carter’s OshKosh B’Gosh Canada.